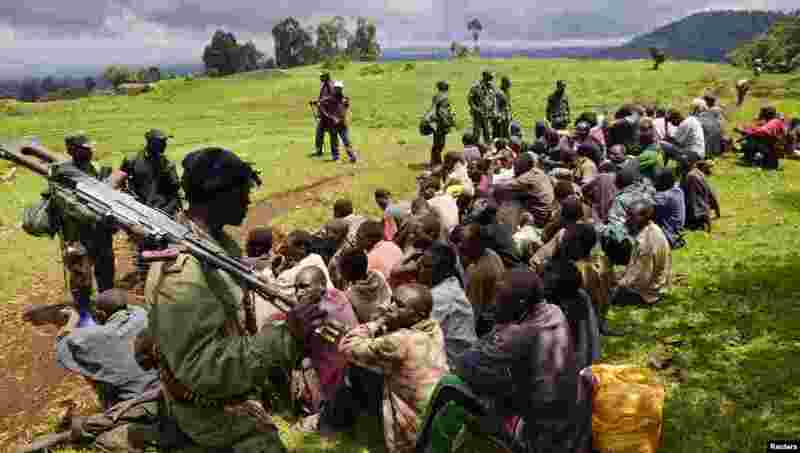 1 Congolese soldiers guard suspected M23 rebel fighters who surrendered in Chanzo village near the eastern town of Goma, Nov. 5, 2013. 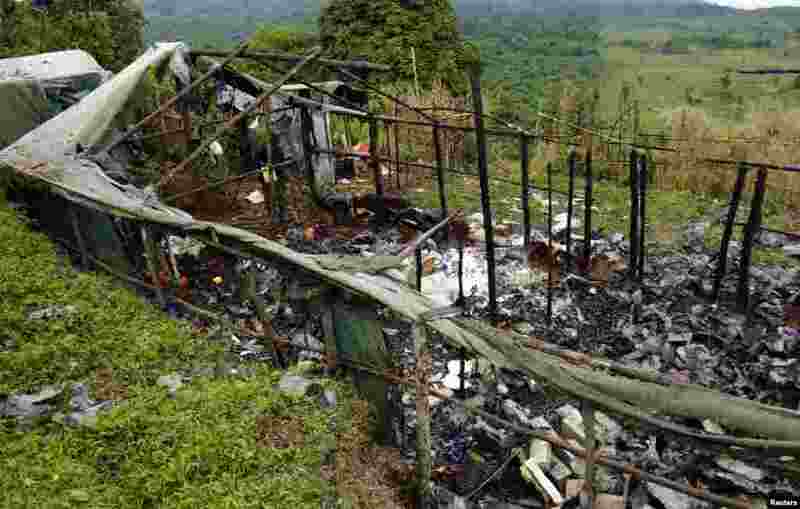 2 A makeshift armory used by the M23 rebel fighters is seen after the rebels surrendered to the Congolese army in Chanzo village near the eastern town of Goma, Nov. 5, 2013. 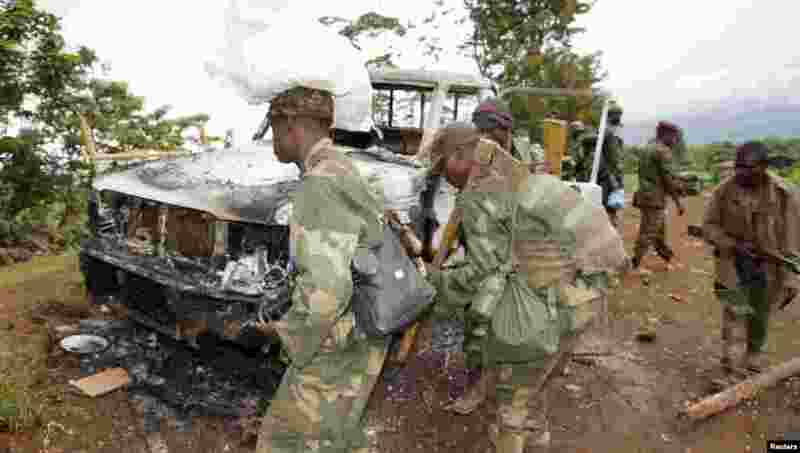 3 Congolese soldiers carry weapons as they walk near a damaged vehicle after the surrender of M23 rebel fighters in Chanzo village near the eastern town of Goma, Nov. 5, 2013. 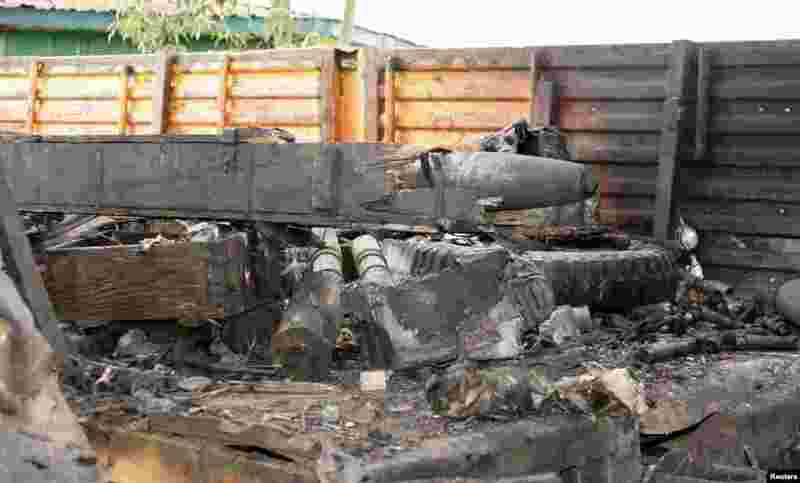 4 Destroyed ammunition used by the M23 rebel fighters is seen after they surrendered to the Congolese army in Chanzo village near the eastern town of Goma, Nov. 5, 2013. 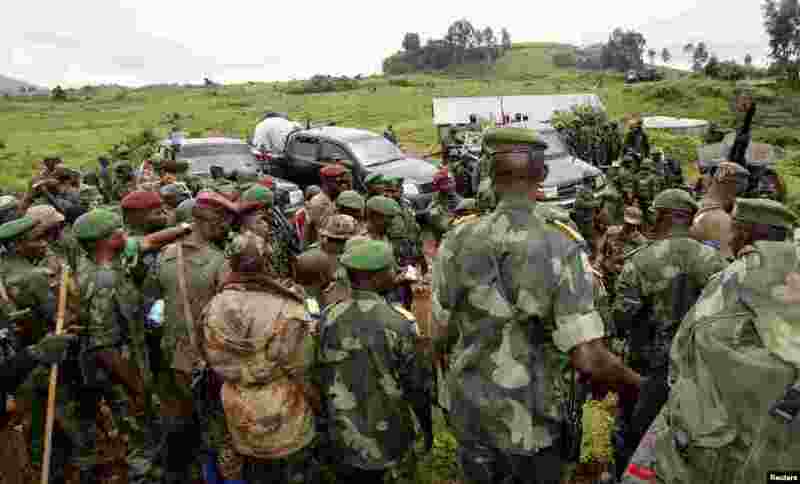 5 Congolese soldiers gather for a military briefing after M23 rebel fighters surrendered in Chanzo village near the eastern town of Goma, Nov. 5, 2013. 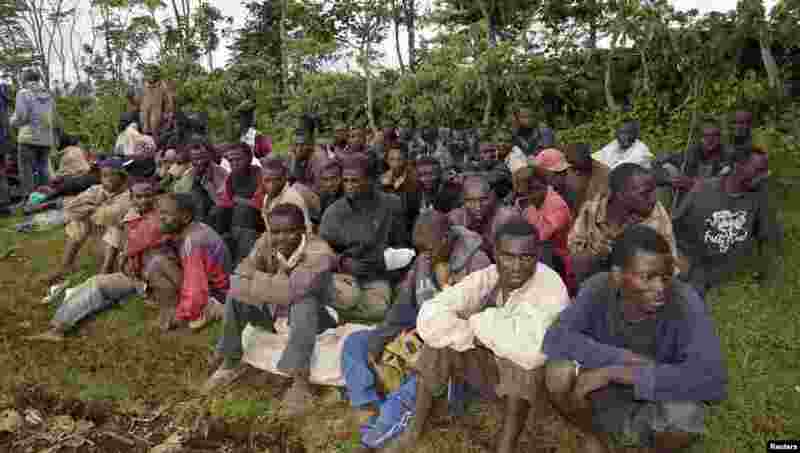 6 Suspected M23 rebel fighters sit in a group after surrendering to the Congolese army in Chanzo village near the eastern town of Goma, Nov. 5, 2013.